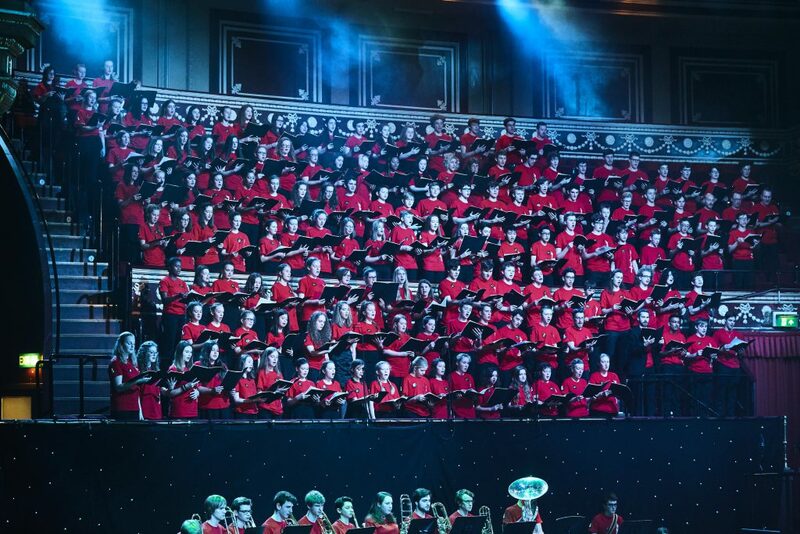 Over 150 young singers and instrumentalists from South Gloucestershire recently performed at the iconic Royal Albert Hall in the Music for Youth (MFY) Proms as part of the world’s largest youth music festival, Music for Youth. Working in collaboration with Gloucestershire Music and the Bath and North East Somerset Music Service, the application for the students to perform was shortlisted from a strong field of 11 organisations who bid for the special opportunity. There were only three performance opportunities available, one on each night of the MFY Proms. The South Gloucestershire Wind Orchestra combined with similar ensembles from the other Hubs and 97 South Gloucestershire students from 18 schools made up the choir as part of a 450 strong mass performance. The combined performers gave the world premiere of ‘A Shakespeare Triptych’ (to celebrate the 400th birthday of Shakespeare) which was composed by Philip Harper. The 10 minute piece is in three sections and a young composer from each local authority provided a theme which the composer incorporated into the piece. Pupil Duncan McCormick from Downend School was delighted when his theme was chosen and enjoyed meeting the composer at the massed rehearsal on 6 November. The performance took place on Monday 14 November.